Image above: The research school attracts participants from all over the world. Photo: Triple Steelix. The research school YCEAS has previously attracted research students with backgrounds from countries such as China, India, Mexico, Italy, Ukraine and Turkey. This autumn, a new opportunity opens when doctoral students from all over the world will travel around the region of Bergslagen in Sweden to learn more about the Swedish advanced steel industry. The Triple Steelix initiative is a driver for the school. Read more about the research school YCEAS. Read more about the research school. The graduate school lasts for two weeks and is a unique opportunity for the next generation of international steel researchers to meet the Swedish industrial tradition and lifestyle. For Bergslagen’s industry, this means a valuable opportunity to create long-term collaborations with students who in the future will belong to the global research community within materials and steel. YCEAS, Young Global Center of Excellence in Advanced Steel, offers doctoral students inspirational meetings, lectures, workshops and scientific discussions with the Swedish steel industry. There is no doubt about the fact that previous years’ graduate students are satisfied with the arrangement of YCEAS. “It has been two fantastic weeks. I have learned a lot and developed not only as a steel scientist but also as a human being,” says Mamta Sharma, Steel Institute, Aachen University. “It has been very interesting to take note of how Sweden has been able to develop an advanced steel industry while also taking into account and protecting the environment,” he says. Anindya Das, who comes from India, and Mustafa Seyrek, Turkey, states in a blog post that the study visits they have made to the industries strengthened their self-confidence as researchers and gave them extra motivation to continue in material technology and then especially steel. At least as satisfied with the program are the representatives of the steel industry. 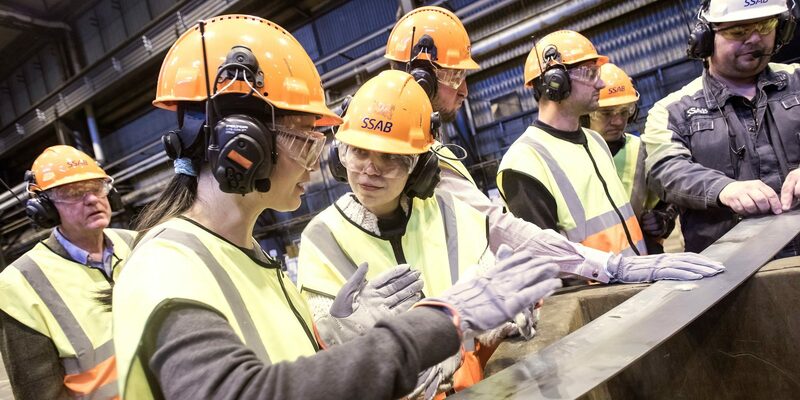 “Getting to meet young talented and enthusiastic students who work with issues of the future that affect SSAB’s and other Swedish industries’ activities is one of the best parts of my job,” SSAB’s research director Eva Petursson has said commenting one of the former graduate schools. Rachel Pettersson, research director at Jernkontoret, also met previous years with the international research students. “This gives us a fantastic opportunity to showcase the Swedish steel industry for students coming from so many different directions. I hope that the experiences they bring with them from here can be developing both for the students and for the Swedish steel industry,” she has commented.